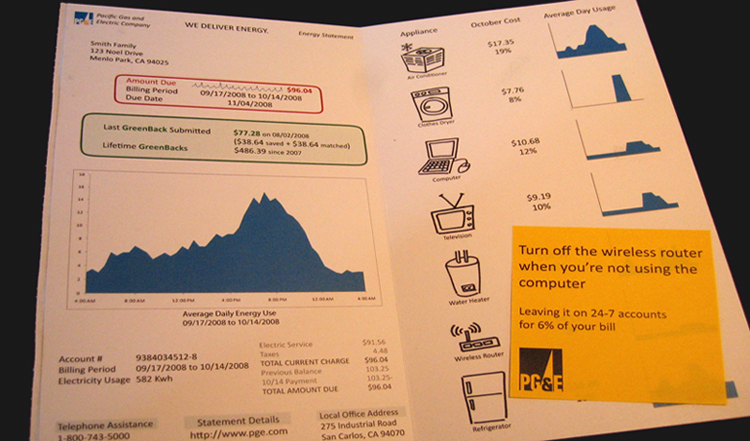 PG&E, the California utilities company, wanted to reduce the demand for energy at peak usage times by engaging consumers in energy-efficient habits. As the main touchpoint between PG&E and its customers, and consumers' only source of energe usage feedback, we identified the utility bill as an opportunity to connect with and influence consumers. 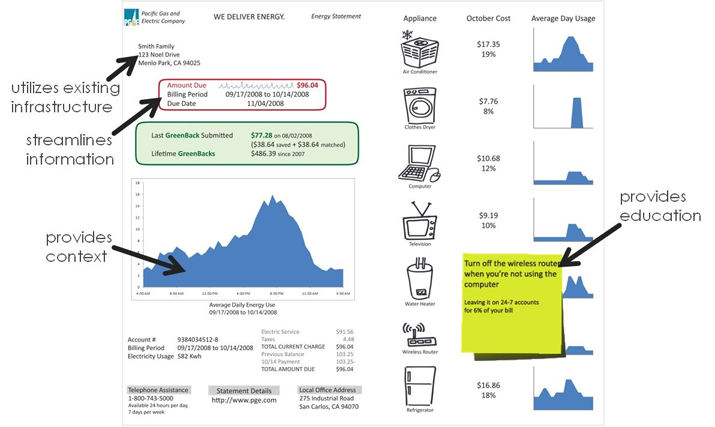 To tackle this massive problem, we combined deep insights about consumer perceptions of energy usage with emerging smart metering technology to create an entirely new billing experience that is intuitive, engaging, and helpful. 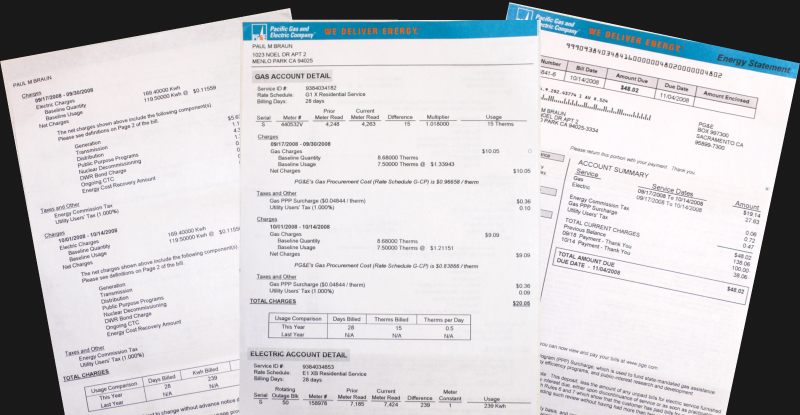 Current bills are a necessary monthly evil - impersonal and boring, difficult to understand, and lacking in guidance to change usage habits. As a result, consumers easily become disengaged. Using in-depth interviews with a wide variety of people to explore perceptions of energy usage, we identified two trends: 1) People want to visualize and track the energy they consume, but perceive many barriers, and 2) People feel entitled to energy and don't want to sacrifice their lifestyle for conservation. We utilized a series of 2x2 frameworks to synthesize our findings and explore correlations and potential opportunity spaces.